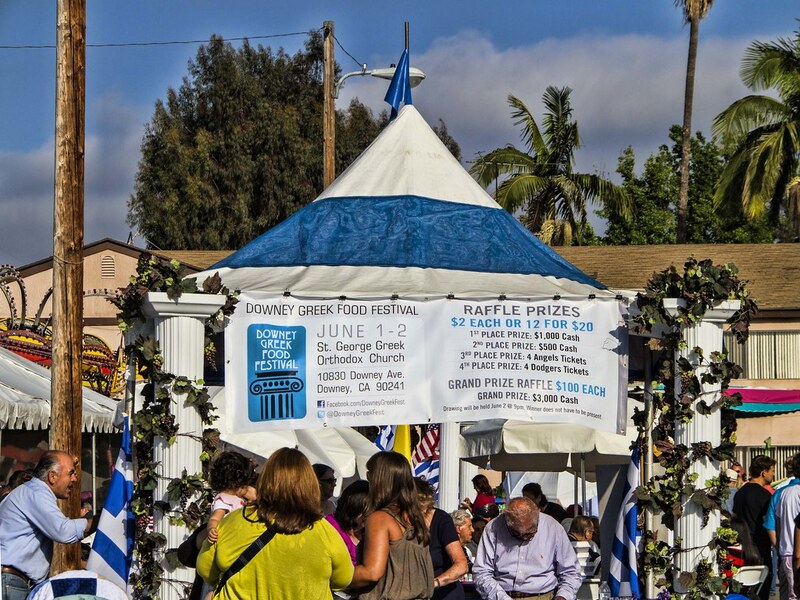 This weekend was the annual Greek Food Festival. We try to never miss it! 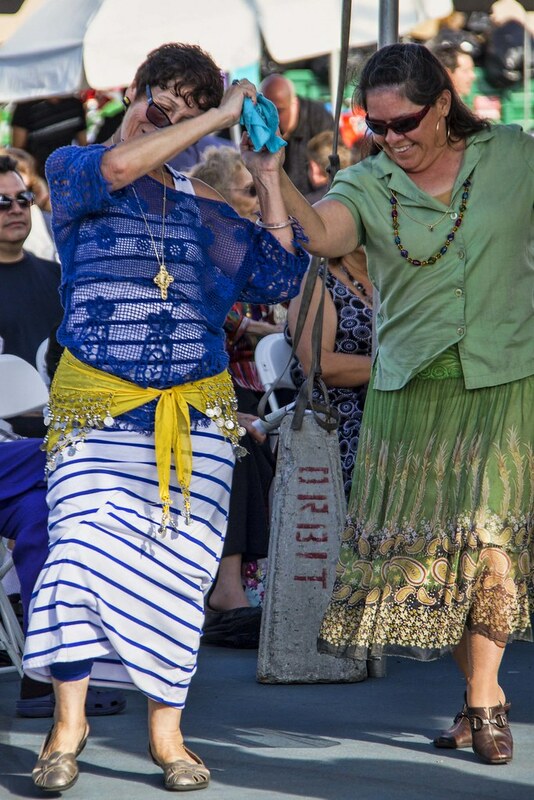 It is always a fun event with traditional Greek music, dancing, food and more. 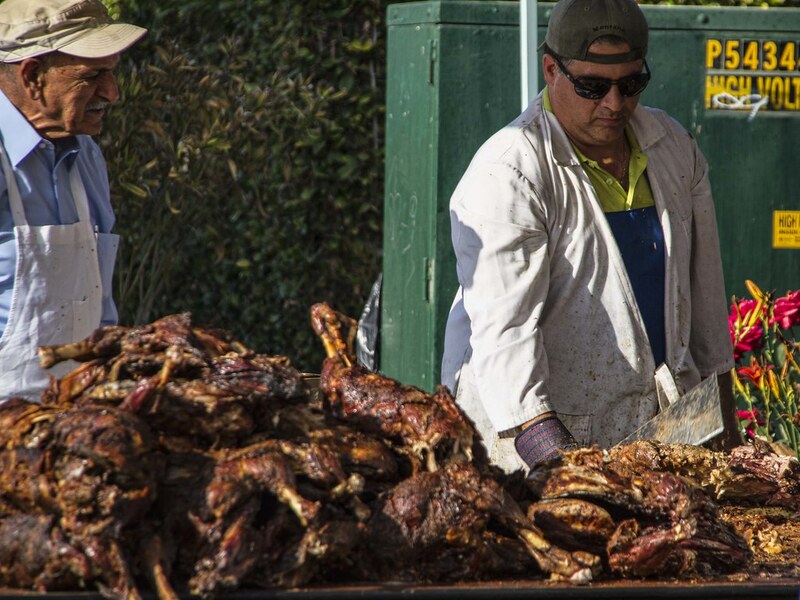 Unfortunately, we went late this year so I missed the roasting of the lambs, but they were still chopping away at a mountain of meat when we arrived. Of course, there were the standard blue and white striped tents lining the area. And, the food...I simply could not resist. I had both moussaka and a spanakopita! Both were yummy. And, I bought some great smelling cream from a booth called "Holy Honey." 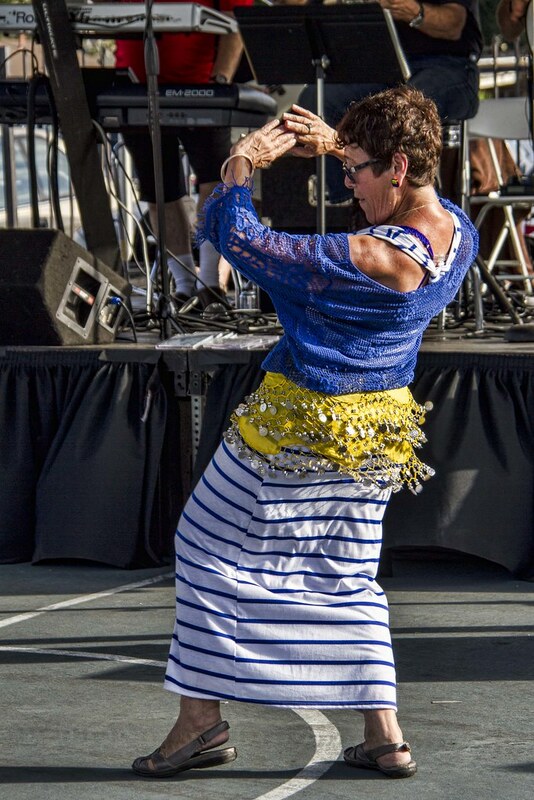 But, my favorite is always the dancing.